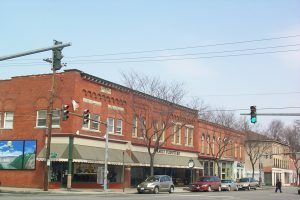 The Landmark Society’s Awards Committee is now seeking recommendations for its 2019 Preservation Awards. Award suggestions are welcome from Genesee, Monroe, Livingston, Ontario, Orleans, Seneca, Wayne, Wyoming and Yates counties. Below is a list of the award categories, along with descriptions and criteria for each award. If you know any project or person deserving of any of these awards, please email your suggestions to Cynthia Howk at chowk@landmarksociety.org by Thursday, May 30, 2019. The Awards Committee will begin reviewing submissions at its May meeting. If you have any questions, please contact Cynthia by email or phone at (585) 546-7029 x24. Perry Main Street Association Inc., P.O. Box 186, Perry, NY 14530; recipient of the 2018 Barber Conable Award. A major rehabilitation project completed within the last two years, possibly using Federal Investment Tax Credit program. Old fabric should be sympathetically maintained and carefully rehabilitated. New construction, if any, should be compatible and of high authentic quality. This award need not be given if no project meets the standards. 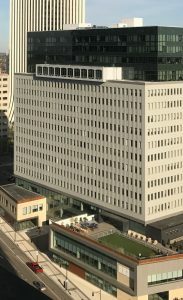 Tower280, 280 E Broad St, Rochester, NY 14604; one of three recipients of the 2018 Award of Merit. This award applies to projects similar to those eligible for the above mentioned Conable Award, but of more modest scope. The award is given for a sympathetic rehabilitation of an architecturally significant building, structure, object or site. Candidacy may be enhanced if the project is historically significant or if it strengthens its neighborhood. The project must have been completed within the past two years. The above award cannot be given to single-family residences. This award recognizes an individual or organization that has proved continued care of and commitment to the preservation of an architecturally and/or historically significant public property over a period of years. “Care” can include appropriate changes to the building fabric. Eligible properties include religious, educational, not-for-profit, commercial or government buildings, structures, objects or sites. 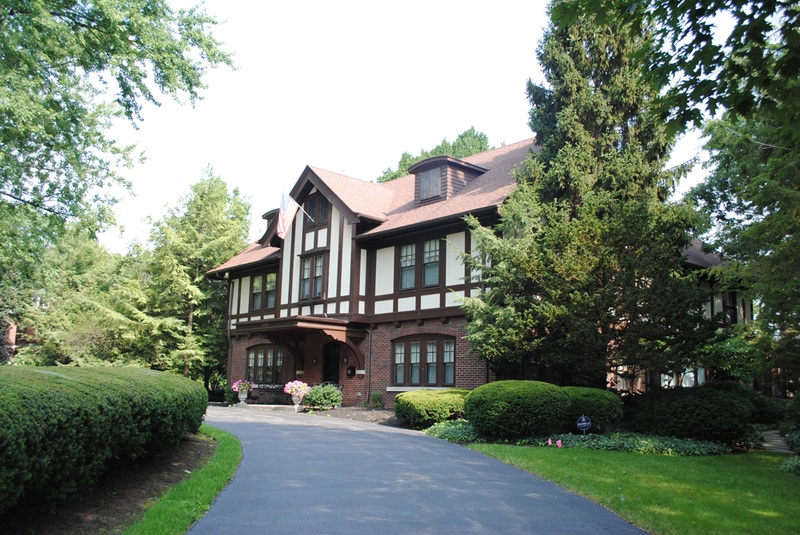 (For private residences, see “Historic Home Award”). This award recognizes owners of private residences for their continued care of and commitment to the preservation of an architecturally significant house over a minimum of seven years. “Care” may include appropriate rehabilitation and/or sympathetic new additions according to need. Thoughtful rehabilitation/restoration of the interior and/or significant features of a historical landscape may enhance the quality of the nomination. The seven year criteria may be waived in special circumstances as deemed appropriate by the awards committee. 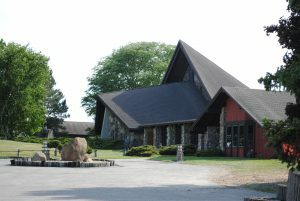 Abbey of the Genesee, 3258 River Rd., Piffard, NY 14533; recipient of the 2018 Historic Landscape Award. This award recognizes and encourages the preservation, restoration, rehabilitation and stewardship of historically significant landscapes. The recipient may be either an individual(s) or an organization. This award need not be given every year. This award was established in honor of the late Syracuse University architect, professor, and preservation advocate who was a friend and colleague of the Landmark Society for over four decades. The award recognizes community activists who have done outstanding work in the field of historic preservation. This award need not be given every year. 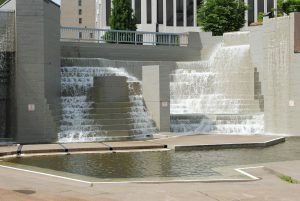 Dr. Martin Luther King Jr Memorial Park at Manhattan Square, Chestnut and East Broad Streets City of Rochester, Monroe County; recipient of the 2018 Craftsman, Special Citation Award. These awards provide for projects that do not fit into the above categories or recognize outstanding individual or group accomplishments in the field of historic preservation. This award need not be given every year.